In order for you to pick the best fence for your home, just ask yourself why you need a fence. Maybe vinyl fencing would work best or a wooden privacy fence could be another possible option. If you don’t need privacy, you can choose a aluminum fence or perhaps a wrought iron fence, which gives your yard a classy, open look. Some homeowners associations require aluminum fencing. If you mostly need a fence to protect children or pets, no specific type of fence will be more suitable over the other. America Fence can assist in choosing what fence would best fit your home and lifestyle. For instance, if you want to build a fence to keep a pet contained in your yard, identify what your pet is capable of when it comes to digging or jumping. Another question to ask yourself is just how much time do you want to dedicate to maintaining your fence. A wooden fence needs the most maintenance because of the staining and painting that is needed every 2 years, on the other hand, your property value can increase and make your yard more visually attractive. Vinyl and aluminum fences have very minimal repeated maintenance, which makes these fence options appealing to quite a number of homeowners. The benefit of wood fences is that they are more easily repaired than metal. 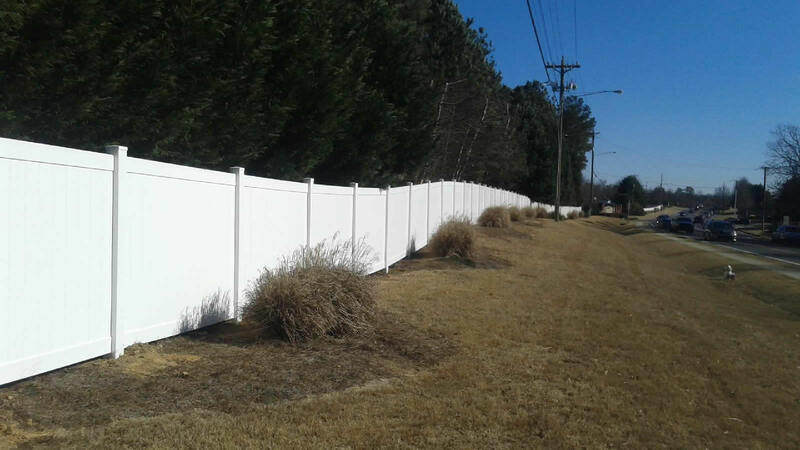 If any of the boards have weather damage, you can simply replace them and they will blend in with the rest of your fence. Some Home Owner’s Associations make it so you may not have a choice on what type of fence you can build if they manage your neighborhood. 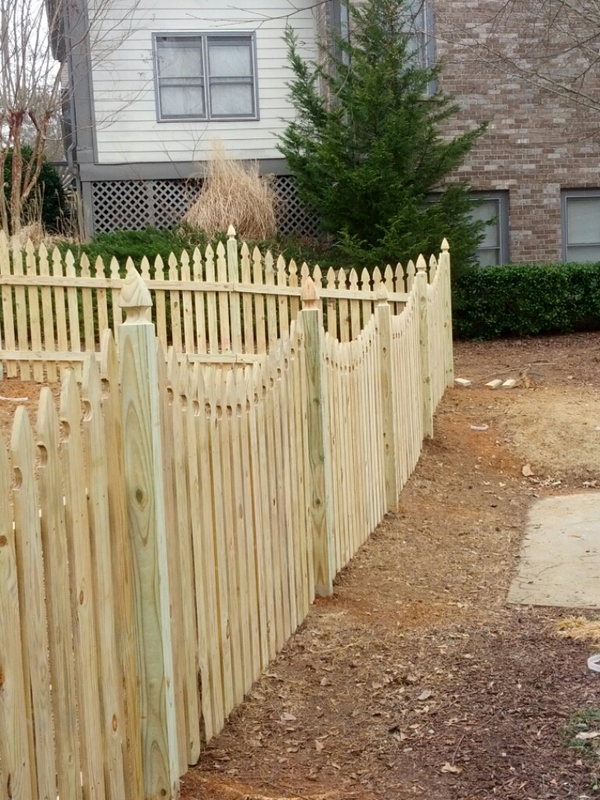 Be sure the fence you want meets the Associations standards for height and materials before starting a fence project. 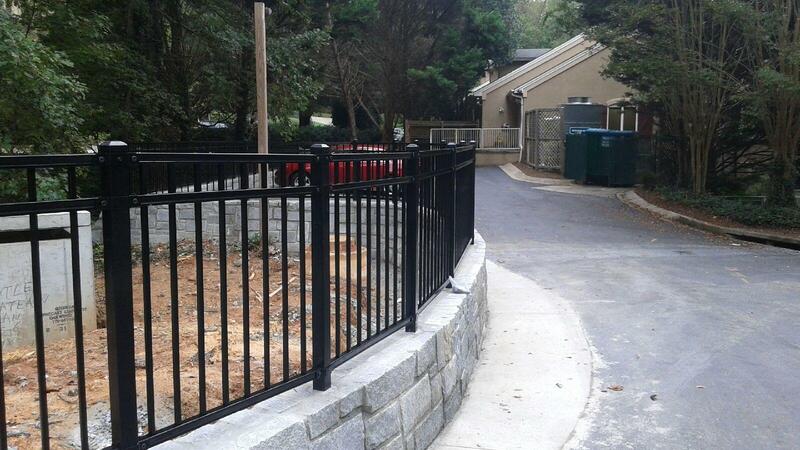 Since 1968, we’ve been working with homeowners across the north side of Atlanta to provide attractive security fencing. Our goal is to be the best fence company in Georgia. Consider America Fence before trying to install a fence by yourself, which requires hard work and specialized tools. We secure all the building permits through your city or county and install a fence that will make you a happy and satisfied customer as well as make it affordable. Call for a free estimate today! We offer an array of choices when it comes to fences including both residential fencing and commercial fences. Click here to learn more about our electric fences. We have satisfied customers all over northeast Georgia including Athens, Gainesville, Suwanee, Dacula, Braselton, Winder and Lawrenceville. When it comes to gate installation, you won’t find another company with more honesty, knowledge and experience than American Fence. Let us help you decide the right fence for your home.